After one-upping Kanye West on a cover of his "Paranoid," eccentric Japanese pop crew the Suzan have set their sights on "Moskow Diskow," the breakthrough electro-pop single originally released by Telex in 1978. While the track doesn't pack the same punch as the Suzan's Kanye cover, it does continue to demonstrate their knack for danceable synth trickery and sugary, sing-along pop melodies. Better yet, it proves these girls have studied the world of electro-pop back to front, making their just released Fool's Gold debut, Golden Week for the Poco Poco Beat, that much more legit. 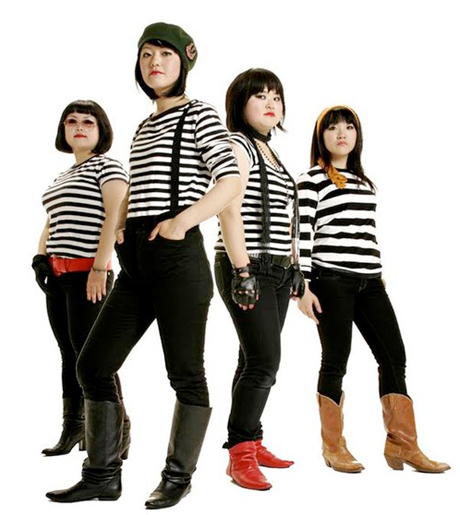 The Suzan's "Moskow Diskow" cover can be streamed below or downloaded here.